This is the Type Y in the Alec scraping tools series. 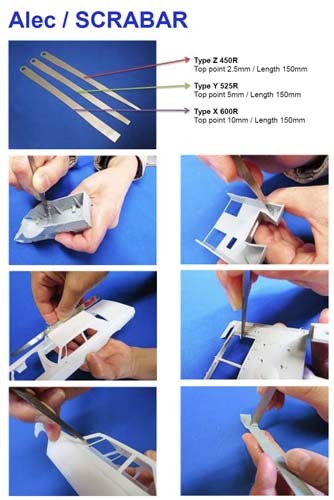 The tool is one of three in the series with different diameter curves tailored to the model car and other large model kit subjects. The photos illustrate the different shapes of each tool, only the Type Y is included in this package.